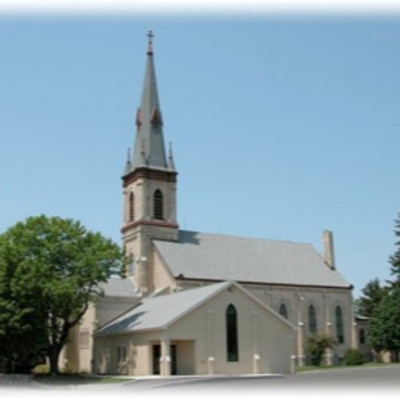 St. John Evangelical Lutheran Church & School (Sherman Center) is in Random Lake, Wisconsin and is served by Rev. Christopher R. Gillespie. St. John Lutheran is God's place for Christians to gather around our Lord's Word and be edified by His gifts. 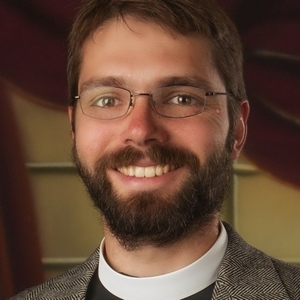 We are a congregation of the Lutheran Church—Missouri Synod (LCMS). We unconditionally subscribe the Unaltered Augsburg Confession. St. John Lutheran School has been approved for accreditation through the accreditation process of the National Lutheran School Accreditation of the Lutheran Church - Missouri Synod. Preached on April 21, 2019. Based on the Sermon Series, "Behold the Man." Taught on April 14, 2019. Preached on April 14, 2019. Taught on April 7, 2019. Preached on April 7, 2019. Taught on March 31, 2019. Preached on March 31, 2019. Taught on March 24, 2019. Preached on March 24, 2019. Preached on March 17, 2019. Taught on March 10, 2019. Preached on March 10, 2019. Taught on March 3rd, 2019. Preached on March 3, 2019. Preached on March 2, 2019. Taught on February 24, 2019. Preached on February 24, 2019. Taught on February 17, 2019. Preached on February 17th, 2019. Taught on February 10, 2019. If you need to refer to the whiteboard, you can view it here. Taught on February 10, 2019. Preached on February 10, 2019. Taught on February 3, 2019. Preached on February 3, 2019. Taught on January 27, 2019. Preached on January 27, 2019. Taught on January 20, 2019. Preached on January 20, 2019. Taught on January 13, 2019. Preached on January 13, 2019. Taught on January 6, 2019. Preached on January 6, 2019. Taught on December 30, 2018. Preached on December 30, 2018. Preached on December 24 @ 10pm, 2018. Preached on December 24 @ 4pm, 2018. Taught on December 23, 2018. Preached on December 23, 2018. Advent 3 Midweek - "David's Son and Solomon's Temple — Jesus!" Preached on December 19, 2018. Taught on December 16, 2018. Preached on December 6, 2018. Preached on December 12, 2018. Taught on November 9, 2018. Preached on December 9, 2018. Preached on December 5, 2018. Taught on December 2, 2018. Preached on December 2, 2018. Taught on November 25, 2018. Preached on November 25, 2018. Taught on November 18, 2018. Taught on November 11, 2018. Preached on November 18, 2018. Taught on October 21, 2018. Preached on October 21, 2018. Bible Study: Matthew 17:5-6 cont. Taught on October 14, 2018. Preached on October 14, 2018. Taught on October 7, 2018. Preached on October 7, 2018. Taught on September 30, 2018. Preached on September 30, 2018. Taught on September 23, 2018. Preached on September 23, 2018. Taught on September 16th, 2018. Class handout: https://www.dropbox.com/s/36jcbw0ca77iigg/transfiguration.pdf?dl=0. Preached on September 16th, 2018. Taught on September 9, 2018. Preached on September 9, 2018. Taught on September 2, 2018. Preached on September 2, 2018. Taught on August 26, 2018. Preached on August 26, 2018. Preached on August 19, 2018. Taught on August 19, 2018. Taught on August 12, 2018. Preached on August 12, 2018. Preached on August 11, 2018. Taught on August 5, 2018. Preached on August 5, 2018. Taught on July 29, 2018. Preached on July 29, 2018. Taught on July 22, 2018. Preached on July 22, 2018. Taught on July 15, 2018. Preached on July 15, 2018. Taught on July 1, 2018. Preached on July 1, 2018. Taught on June 24, 2018. Preached on June 24th, 2018. Preached on June 17, 2018. Taught on June 17, 2018. Taught on June 10, 2018. Preached on June 10, 2018. Preached on June 3, 2018. Taught on May 27, 2018. Preached on May 27, 2018. Preached on May 21, 2018. Taught on May 13th, 2018. Preached on May 13th, 2018. Preached at Ascension Lutheran Church, Niles, Illinois on May 10, 2018. Preached on May 6, 2018. Taught on May 6, 2018. Preached on April 29, 2018. Taught on April 22, 2018. Preached on April 22, 2018. Taught on April 15, 2018. Preached on April 15, 2018. Preached on April 8, 2018. Taught on April 8, 2018. Preached on April 1, 2018. Preached on March 30, 2018. Preached on March 29, 2018. Taught on March 25, 2018. Preached on March 25, 2018. Preached on March 21, 2018. Preached on March 18, 2018. Taught on March 18, 2018. Taught on March 11, 2018. Preached on March 11, 2018. Preached on February 25, 2018. Preached on February 18, 2018. Preached on February 2, 2018. Preached on the Feast of the Purification of Mary and Presentation of our Lord (Candlemas), February 2, 2018. Preached on January 28, 2018.